Concrete Resurfacing for 30+ years and counting! Ugly Concrete? Don’t replace… Simply resurface! 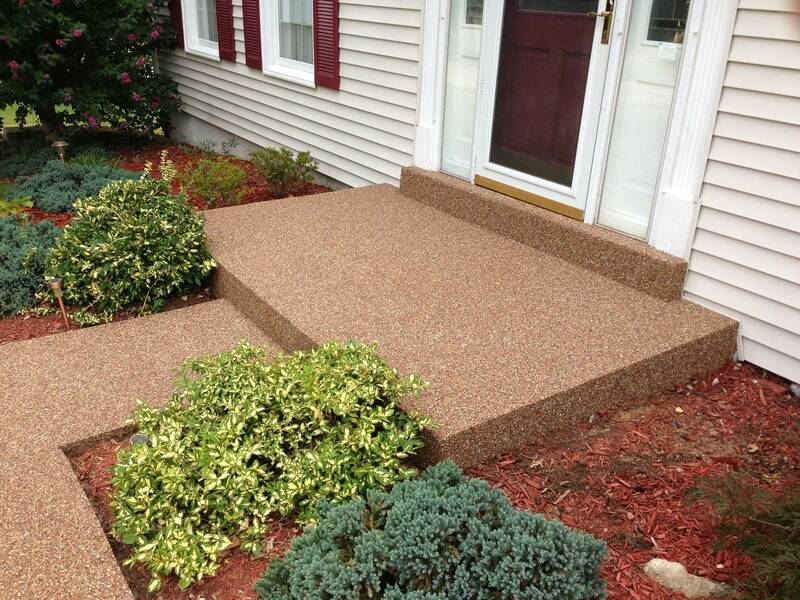 Pebblestone Epoxy System (PES for short) is our most popular residential finish. 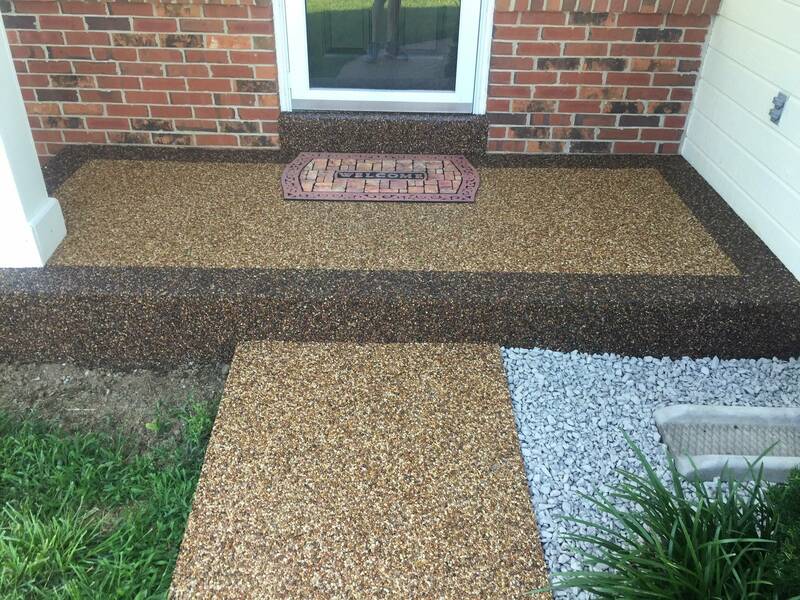 PES is designed to install quickly and easily over your existing concrete to fill the cracks, smooth surfaces and permanently cover stained or deteriorated concrete. 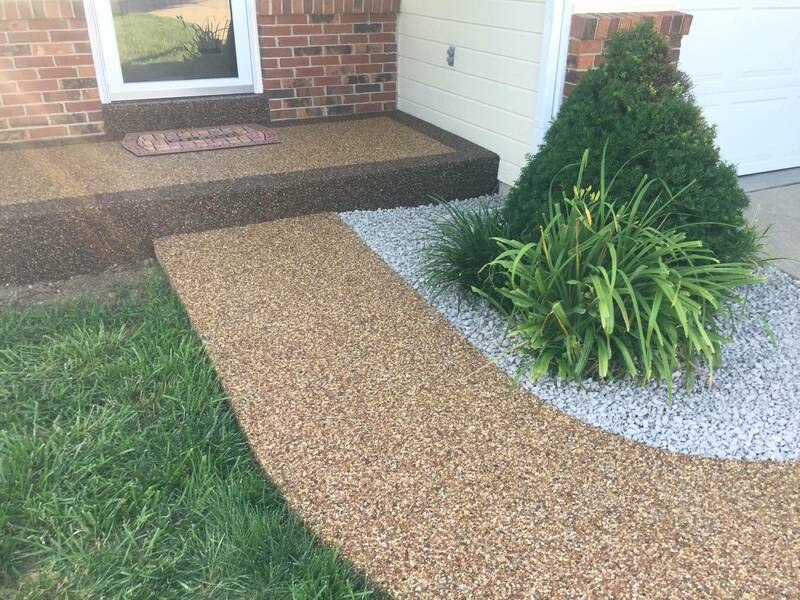 With a mix of rock and liquid epoxy it transforms broken, ordinary-looking or just downright ugly concrete into something fresh and beautiful. Even better, your new stone finish is 100% resistant to chemicals — even chlorine from a swimming pool. 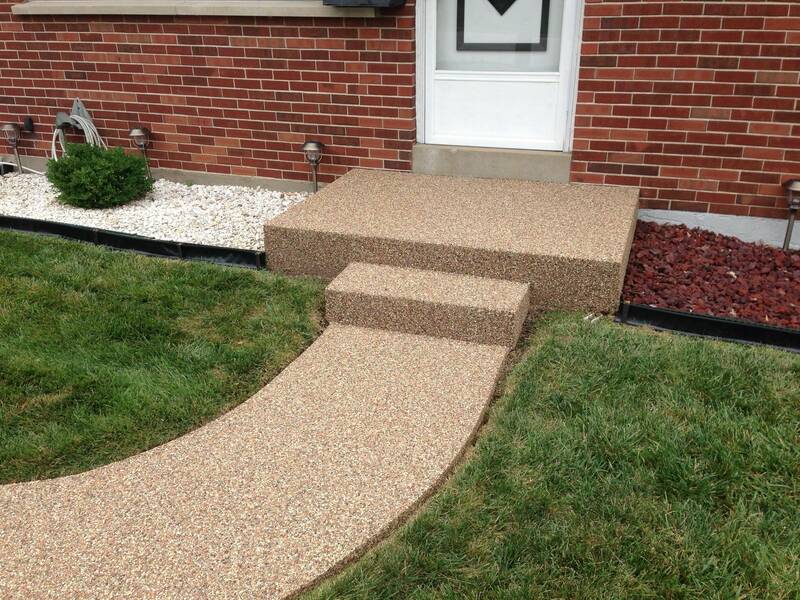 So feel free to update that pool deck, patio, driveway, walkway or any other concrete surface. 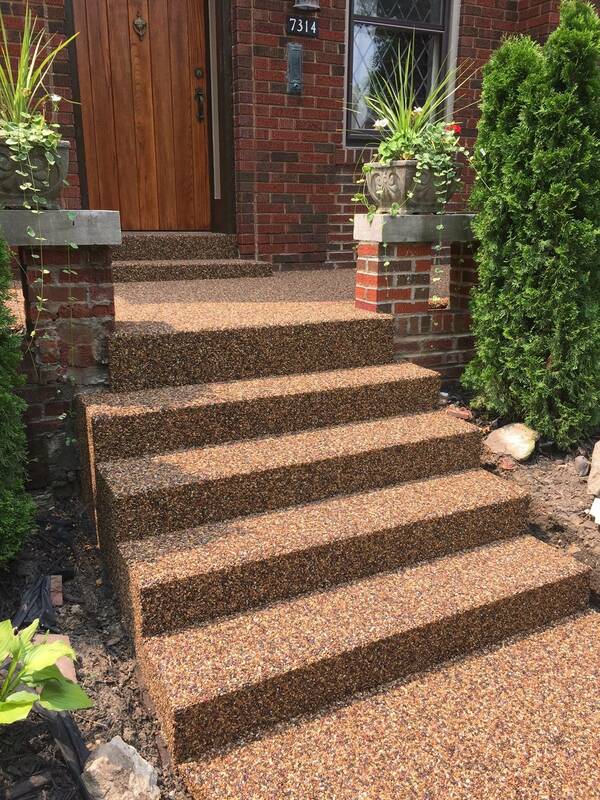 Epoxy Pebblestone is the only resurfacing product that is not affected by the freeze thaw cycle of the Midwest climate. 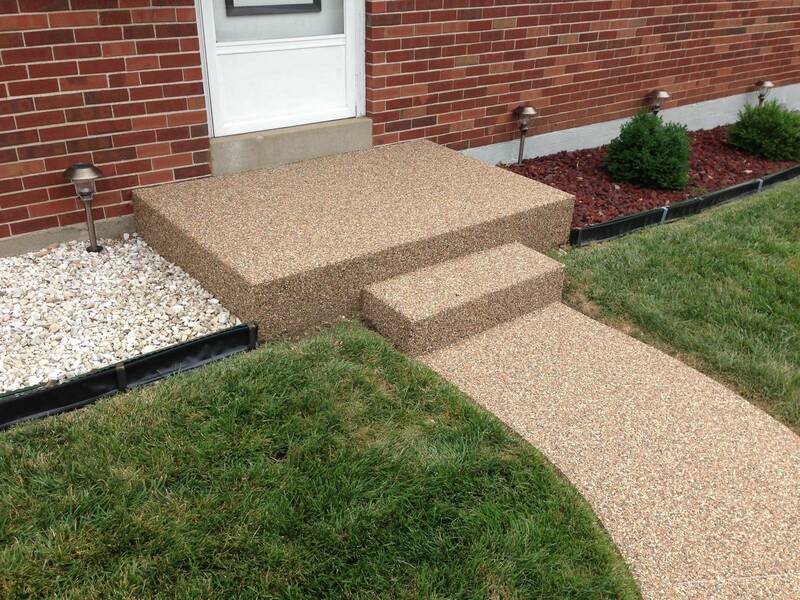 This product is porous and allows water to freely flow through the rock. 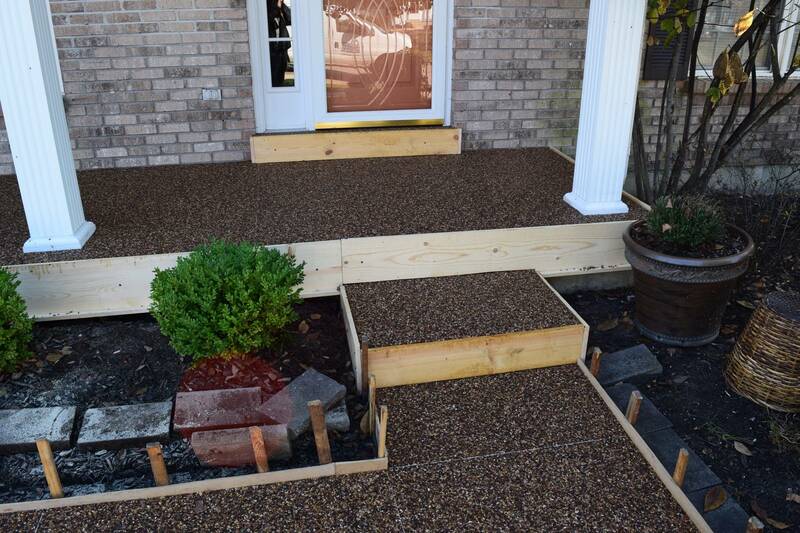 Any material that is not porous will eventually have water trapped between the concrete and the new surface, causing delimitation when it freezes. 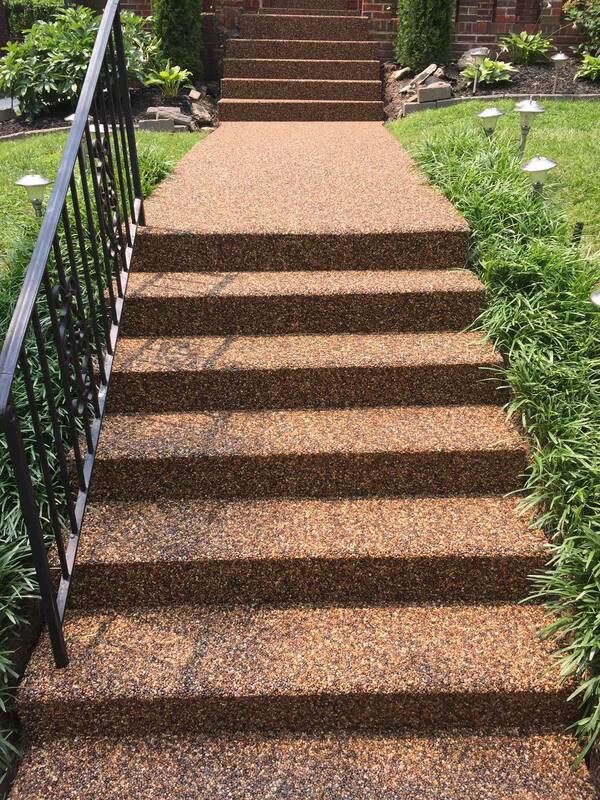 Pebblestone epoxy is also rated at 8,000psi (concrete is 3500-4500psi) making it very durable for driveways, pools, ect. Please call us today for a free consultation! 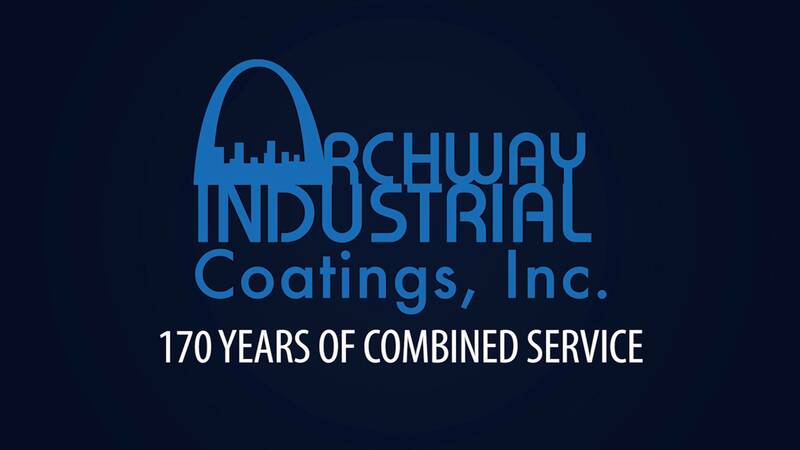 Archway Coatings is a St. Louis, MO based company that has been installing Pebblestone Epoxy for 30+ years. Archway installers have years of experience and are employed directly by Archway. We take pride in hiring the best flooring applicators in the country, many of them having 10-20 years of experience. 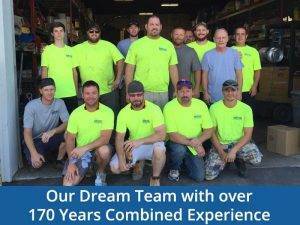 The main difference between Archway and any other St. Louis Pebblestone epoxy installer is that all our employees are full time year around employees. We only hire the amount of employees we can keep trained and working year around. This ensures quality work every time and our reviews below are a testament to their amazing work! What a transformation! Shouldn’t have waited so long to have it done. Very professional. Lots of walkers stop and admire the finish. Thanks so much. Kudos to the whole crew! Very professional. Patio and front porch are beautiful. 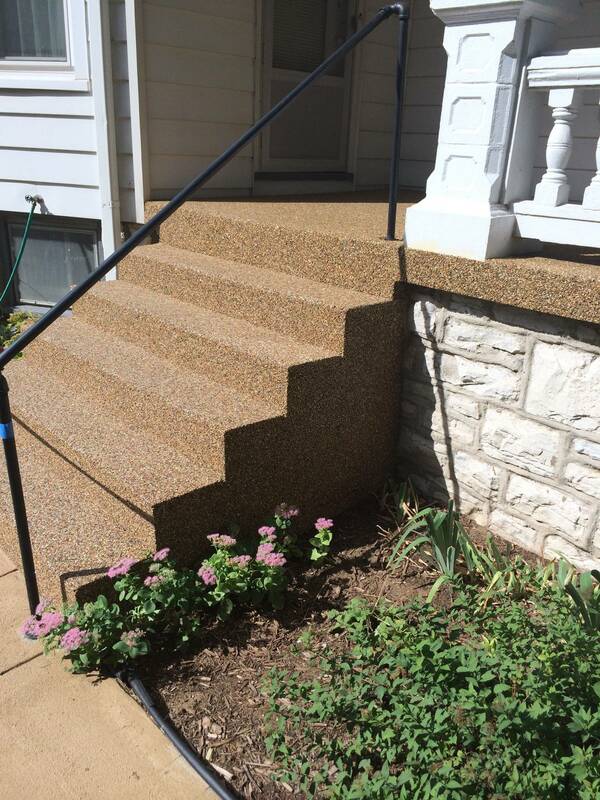 Thanks to Archway Industrial Coatings for doing an amazing job on our sidewalk and front porch! The job was completed quickly and professionally. We couldn’t be happier. We will definitely refer people your way!